When we needed to stretch the capability of our water line to reach the new plantings in the extended Forest area, Matt dug the trench and installed a new hose bib, all with totally professional aplomb. Matt learned about horticulture and landscaping while participating in a degree program at Longwood Gardens in Philadelphia and through internships in New Zealand and at Heronswood Nursery in Kingston, Wa. He has been practicing fine gardening professionally for the past 11 years. His company, Matthew Berberich -Professional Gardening Services offers garden design and installation, renovation, maintenance, rock work and irrigation. lillyberry007@yahoo.comLilly says she knew nothing about native plants before volunteering at a native plant nursery and National Park in Northern California. However, when relocating to Jefferson County, she brought with her a deep appreciation for native plants and a great desire to become acquainted with the local natives. “I decided that a good way to learn about the nature and needs of the native plants of this area would be to volunteer some time working with them.” Before becoming our Treasurer, Lilly was Steward of the Subalpine Garden. Jean Erreca, Irrigation Designer/Installer – jderreca@gmail.com Jean grew up around Palo Alto, California on San Francisquito Creek which then supported rainbow and steelhead trout. His interest in streams and fish began there. He studied horticulture at Cabrillo College, Aptos, CA, (Certificate of Proficiency, Horticulture/Vocational Gardening, May 1999, Honorable Mention.) Studies included irrigation, soil conservation, arboriculture, greenhouse operations and native plants of the Pacific coastal regions. He is currently a Washington State Irrigation Contractor doing business on the Olympic Peninsula as The Garden Plumber. He is a WSU Water Watcher (class of 2006) and a North Olympic Salmon Coalition volunteer since 2006. Sami is a botanist, nurserywoman and professional gardener. 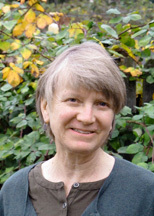 She did graduate work in plant systematics at Oregon State University in the ‘90s, including a project culminating in the naming of a new species of alpine grass. She has done botany field work, worked in retail nurseries, operated her own very small nursery, collected native seeds as a subcontractor, and done copy editing, fact-checking and occasional writing for botany publications. 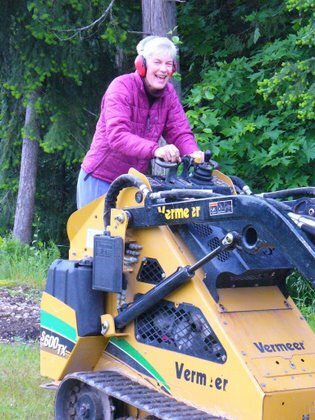 Ellen has been working at the KKH Native Plant Garden since 1999 when she attended a free native plant class announced on the Visitor Center reader board. Linda Landkammer offered the class in exchange for working at the garden. “I was drawn back to the garden for the joy of sharing sunny summer days with Linda and the other volunteers. The camaraderie along with the exchange of expertise and experiences while working side by side with other plant lovers compliment the sense of being part of something larger. I find satisfaction in nurturing the plants and seeing how beautiful the garden looks after each day’s work. Passers-by often stop to praise the garden. Volunteering becomes a valuable addition to time spent in my own garden, where only a few people see the results” Before moving to Washington, Ellen gardened in the “breaks” of the Missouri River surrounded by thousands of acres of prairie and corn listening to the mourning doves, meadow larks and the wind in the cottonwoods. Having withstood the munching bunnies, coyotes and cattle, leafy spurge and Canadian thistle, cold, heat and blowing dust of gardening in South Dakota, she particularly enjoys the early and lingering spring and lush native flora of the Olympic Peninsula. Before becoming our Nursery Manager, she served as signage writer, Edgeland Steward and Montane Steward. Dixie Llewellin, Plant Identification – dixiellewellin@yahoo.com Dixie is a long time member of Washington Native Plant Society and former Chair of the Olympic Peninsula Chapter. 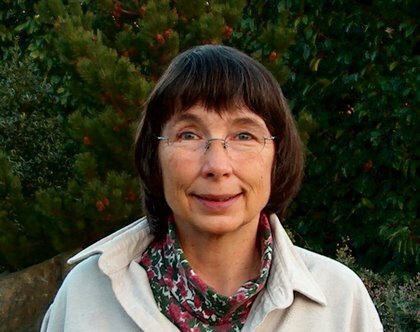 She has been the project manager, inspirational leader, and volunteer coordinator for the past 10 years for the Kah Tai Prairie Preserve project in Port Townsend. Other local projects include volunteering and design work for the Froggy Bottoms Wetland Restoration and Point Wilson Native Habitat Protection and Restoration Project. Dixie has also worked as a wetlands specialist for over 18 years for Olympic Wetland Resources, Inc. The opportunity to be the photographer at Kul Kah Han was the perfect blend of my love of photography and my growing interest in native plants. I’ve been taking plant pictures for many years – I love their texture, form, colors, seasonal changes – just their shear beauty. It is my hope that those who cannot visit the garden to see all these wonderful plants in person will be able to appreciate and enjoy them through these photographs. And Very Special Thanks To. . . The conscientious young men from the Graywolf Ranch Community Service Program, Coordinated by Kathy Goldsmith. Jefferson County Community Service youth under the direction of Kurt Munnich.